Pay only P 404 a Month for 12 months. Or pay only P 766 a Month for 6 months. 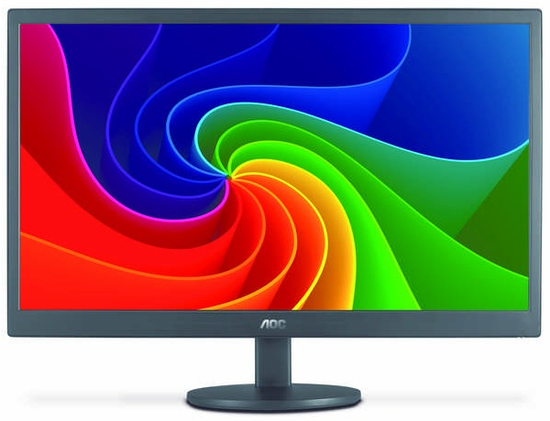 AOC E2070SWN 19.5” LED monitor utilizes ultra-high Dynamic Contrast Ratio (DCR) at 20,000,000:1, allowing users to see darker areas of content with greater depth. Screen+ software enables users to split the desktop into different panes and supports multiple monitor displays, providing easy access and organization. AOC 70S Series monitors are designed with simplicity, where you will be awed by the single power button design. On the back and bezel, fiber and hair-line surface textures are adopted respectively. backlight in traditional monitors, the LED backlight panel contains no Hg. Software enables the user to set a low power configuration of the monitor when the PC is in screen saving. PC off, and user absence. User can choose the time to turn the monitor off, to save power consumption. Brushed surface textures provide a luxury look and feel. The bundled Screen+software splits the PC workspace into four self contained panels to group application windows for easier viewing. Screen+ also supports multiple monitors. Included PC software allows the user to change the OSD settings using their mouse.